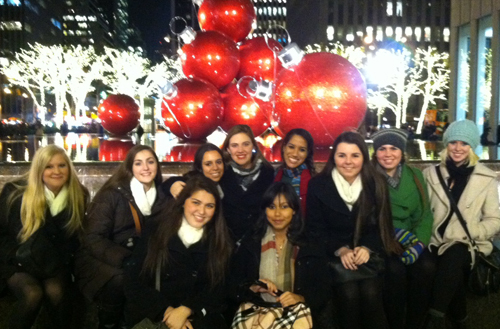 The Fashion Academy visited New York City from December 5th to the 9th, to learn about the industry and talk to executives. 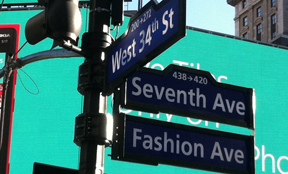 The students attended many conferences that gave them insight on how the fashion world really works. They also got to meet professionals in hospitality, tourism and sports administration. Regina Martucci, from Fashion Institute of Technology, in particular was a big inspiration to the students. Ten students in level 2 and 3 classes attended the field trip. During their stay, students toured the city, stopping by several of NYC’s main attractions, such as the Statue of Liberty, Times Square, Macy’s and the Empire State Building. The Fashion Academy also visited Madame Trussad’s museum and learned about how the market in NYC compares to others around the world. Shopping was also on the itinerary for the 5-day trip, including window-shopping at Macy’s and doing a thorough scope of SoHo. Last year was the first time that the Fashion Academy held this trip. The schedule was the same, due to the fact that most kids only attend once. All in all, the Fashion Academy students enjoyed their time in the Big Apple, while both having fun and learning about a possible future career.